• Our photo ornament has a swing-open shell and simple hanger ribbon design. 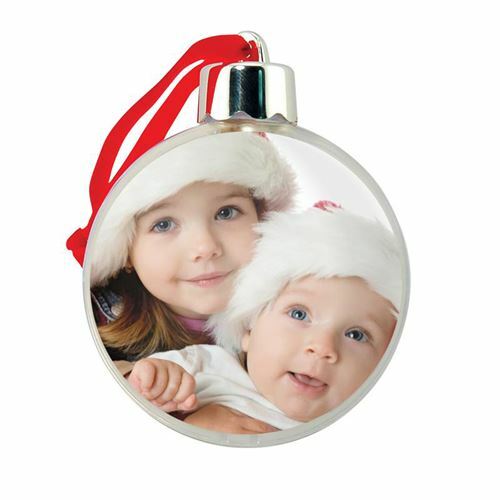 • Place up to two holiday photos inside ornament. • A holiday motif insert included if using only one photo inside. • This package contains 6 gold caps and 6 silver cap Photo Ball Ornaments. • Photo size: 2-7/8" diameter. • 12 ornaments in a counter display. • 2 counter displays in a case. • Ornaments are individually boxed. 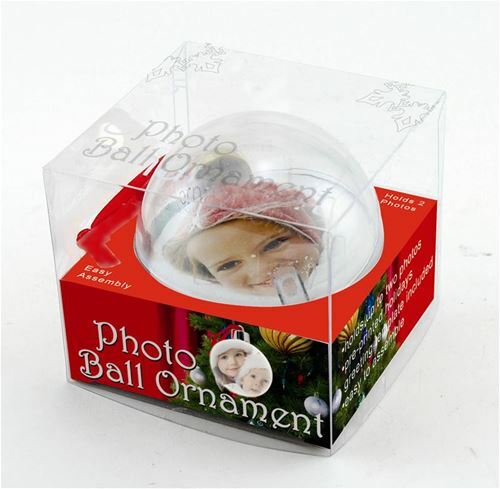 PS-1774x Photo Ball Ornament $72.00 for 12 ornaments. 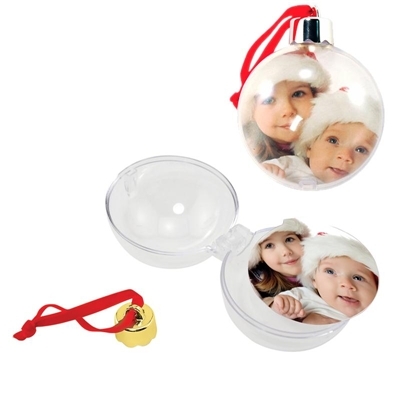 Photo ornament has swing-open shell and simple hanger ribbon design. Place up to two holiday photos in each ornament. A holiday motif insert is included if you only use one photo. This package contains 6 gold caps and 6 silver cap Photo Ball Ornaments in a counter display.